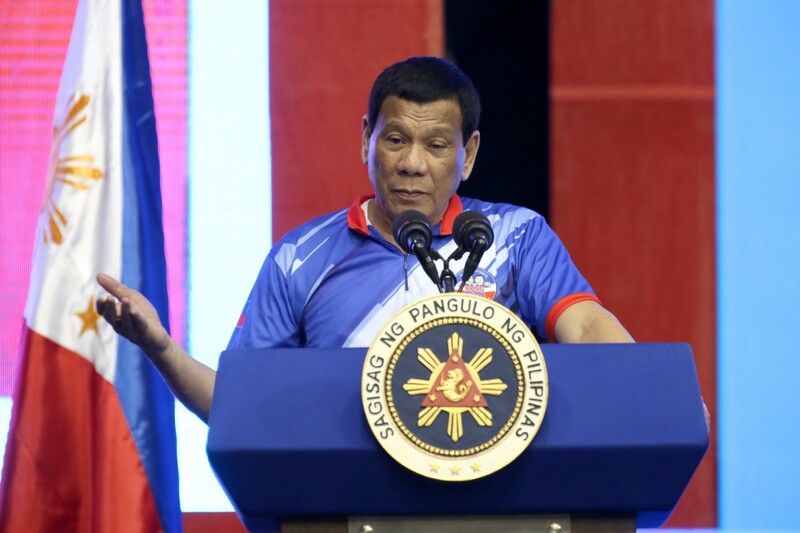 The First Quarter 2019 Social Weather Survey, conducted from March 28-31, 2019, found 79% of adult Filipinos satisfied, 8% undecided, and 13% dissatisfied with the performance of Rodrigo R. Duterte as President. Compared to December 2018, gross satisfaction with Pres. Duterte rose by 5 points from 74%, gross undecided fell by 3 points from 11%, and gross dissatisfaction fell by 2 points from 15% [Chart 1, Tables 1 and 2]. This gives a net satisfaction rating of +66 (% satisfied minus % dissatisfied), classified by SWS as very good. This is up by 6 points from the very good +60 in December 2018, and ties his personal high set in June 2017. The SWS terminology for Net Satisfaction Ratings: +70 and above, "excellent"; +50 to +69, "very good"; +30 to +49, "good"; +10 to +29, "moderate", +9 to -9, "neutral"; -10 to -29, "poor"; -30 to -49, "bad"; -50 to -69, "very bad"; -70 and below, "execrable". 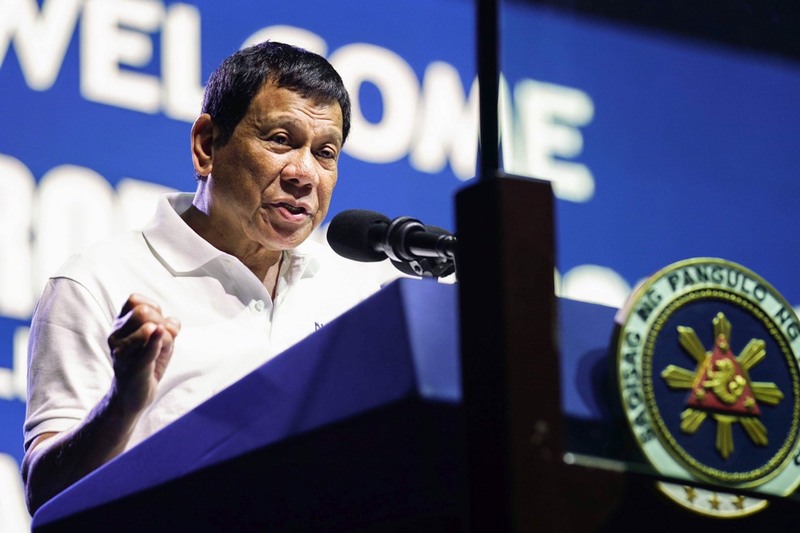 The 6-point rise in President Duterte`s net satisfaction rating from December 2018 to March 2019 was due to increases of 15 points in Mindanao, 7 points in the Visayas, 4 points in Balance Luzon, and 3 points in Metro Manila. Pres. Duterte’s net satisfaction rating stayed excellent in Mindanao, at a new record-high +88 (92% satisfied, 5% dissatisfied, correctly rounded) in March 2019, up by 15 points from +73 (83% satisfied, 10% dissatisfied) in December 2018. This surpassed the previous record of +87 in March 2017 for this area [Chart 2]. It stayed very good in the Visayas, at +69 (81% satisfied, 12% dissatisfied) in March, up by 7 points from +62 (76% satisfied, 13% dissatisfied, correctly rounded) in December. It stayed very good in Balance Luzon, at +56 (73% satisfied, 17% dissatisfied) in March, up by 4 points from +52 (69% satisfied, 17% dissatisfied) in December. It also stayed very good in Metro Manila, at +61 (76% satisfied, 14% dissatisfied, correctly rounded) in March, up by 3 points from +58 (75% satisfied, 16% dissatisfied, correctly rounded) in December. Rural net satisfaction with Pres. 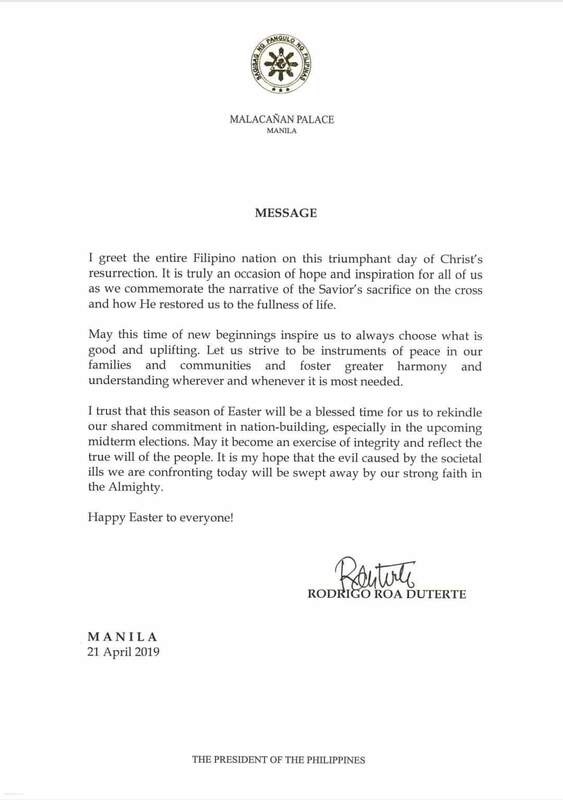 Duterte stayed very good, at a new record-high +69 (81% satisfied, 12% dissatisfied) in March 2019, up by 12 points from +57 (72% satisfied, 15% dissatisfied) in December 2018. This surpassed the previous record of +67 in September 2016 [Chart 3]. Urban net satisfaction also stayed very good, at +62 (77% satisfied, 14% dissatisfied, correctly rounded) in March, although down by 2 points from +64 (78% satisfied, 14% dissatisfied) in December. Pres. Duterte’s net satisfaction rating stayed very good in class ABC, at a new record-high +69 (83% satisfied, 14% dissatisfied) in March 2019, up by 7 points from +62 (76% satisfied, 14% dissatisfied) in December 2018. This surpassed the previous record of +66 in December 2017 and June 2018 [Chart 4]. It stayed very good in class D or the masa, at a new record-high +68 (80% satisfied, 12% dissatisfied) in March, up by 10 points from +58 (73% satisfied, 15% dissatisfied) in December. This surpassed the previous record of +66 in June 2017. It stayed very good in class E, at +58 (74% satisfied, 16% dissatisfied) in March, although down by 7 points from +65 (77% satisfied, 12% dissatisfied) in December. Pres. Duterte`s net satisfaction rating stayed very good among men, at +68 (81% satisfied, 13% dissatisfied) in March 2019, up by 5 points from +63 (76% satisfied, 14% dissatisfied, correctly rounded) in December 2018 [Chart 5]. It also stayed very good among women, at +65 (78% satisfied, 13% dissatisfied) in March, up by 8 points from +57 (72% satisfied, 16% dissatisfied, correctly rounded) in December. The President`s net satisfaction rating rose by one grade very good to excellent among 18-24 year olds, at +70 (83% satisfied, 13% dissatisfied) in March 2019, up by 8 points from +62 (77% satisfied, 14% dissatisfied, correctly rounded) in December 2018. This ties the record-high +70 set in December 2016 for this age group [Chart 6]. It also rose from very good to excellent among 35-44 year olds, at +70 (81% satisfied, 11% dissatisfied) in March, up by 8 points from +62 (75% satisfied, 13% dissatisfied) in December. It stayed very good among 45-54 year olds, at a new record-high +68 (80% satisfied, 12% dissatisfied) in March, up by 16 points from +52 (70% satisfied, 18% dissatisfied) in December. This surpassed the previous record of +65 in December 2016. It stayed very good among 25-34 year olds, at +66 (81% satisfied, 15% dissatisfied) in March, up by 2 points from +64 (78% satisfied, 14% dissatisfied) in December. It also stayed very good among those 55 years old and older, at +61 (75% satisfied, 14% dissatisfied) in March, up by 2 points from +59 (73% satisfied, 14% dissatisfied) in December. Pres. Duterte`s net satisfaction rating rose by one grade from very good to excellent among college graduates, at +74 (86% satisfied, 11% dissatisfied, correctly rounded) in March 2019, up by 9 points from +65 (78% satisfied, 13% dissatisfied) in December 2018 [Chart 7]. It also rose from very good to excellent among non-elementary school graduates, at a new record-high +71 (82% satisfied, 11% dissatisfied) in March, up by 13 points from +58 (74% satisfied, 16% dissatisfied) in December. This surpassed the previous record of +68 in June 2017. It stayed very good among high school graduates, at +67 (79% satisfied, 12% dissatisfied) in March, up by 5 points from +62 (75% satisfied, 13% dissatisfied) in December. It also stayed very good among elementary school graduates, at +60 (76% satisfied, 16% dissatisfied) in March, up by 4 points from +56 (72% satisfied, 16% dissatisfied) in December.